Do You Know How Many Calories Are in Your Cup of Coffee or Tea? If you are looking for another reason to love coffee, consider the fact that it has virtually no calories. If you drink your coffee black or with minimal cream or sugar, you can drink it to your heart’s content without worrying about blowing your diet. Fancy coffee drinks like lattes or mochas, on the other hand, can have a calorie content that rivals a fast-food meal. The following will help you determine just how many calories are in your favorite coffee beverage. A minuscule amount of calories is extracted from coffee beans during the brewing process. Coffee beans are actually seeds, and their purpose is to provide just enough energy to help the sprout of the coffee shrub to push through the soil. The rest of the energy that the plant needs is derived from sunlight once it pushes through the soil. The amount of energy, also known as calories, that is extracted from the bean during the brewing process is negligible in terms of the human diet. How Many Calories Are in Coffee? How many calories in tea? The calories in your coffee come from the various add-ins that you choose. Unfortunately, most of us are not truly aware of how much cream and sugar that we add to our coffee, so the calories can really start to add up, especially if we drink a lot of coffee throughout the day. According to the United States Department of Agriculture, an 8-ounce cup of coffee contains 2 calories. Some sources may list the amount slightly higher, but the amount of calories is still considered insignificant. Creamers can vary significantly in their calorie content. Heavy cream will set you back approximately 52 calories per tablespoon. Half-and-half contains 20 calories per tablespoon. Powdered non-dairy creamer will add 33 calories per tablespoon, but you can reduce that to 25 if you choose reduced-fat creamer. Powdered creamers with flavoring come in at 40 to 45 calories per tablespoon. Liquid non-dairy creamers come in at 20 calories per tablespoon for plain, 10 for reduced-fat, and 20 to 35 for flavored. A teaspoon of sugar contains 16 calories. Most servings packets used in restaurants and offices contain approximately 2.8 grams of sugar, which would come to about 11 calories. If you add a couple of heaping spoonfuls of sugar to your coffee, you could easily be consuming 100 calories. The number of calories that milk will add to your coffee depends on the type of milk used as well as the quantity. Whole milk will add 9 calories per tablespoon. Fat-free milk comes in at 5 calories per tablespoon. Almond milk contains 8 calories per tablespoon. A shot of espresso typically contains between 1 and 3 calories. Instant coffee has approximately 4 calories. The decaffeination process does not alter the calorie count of coffee. You should also keep in mind that decaffeinated does not mean the same thing as caffeine-free. 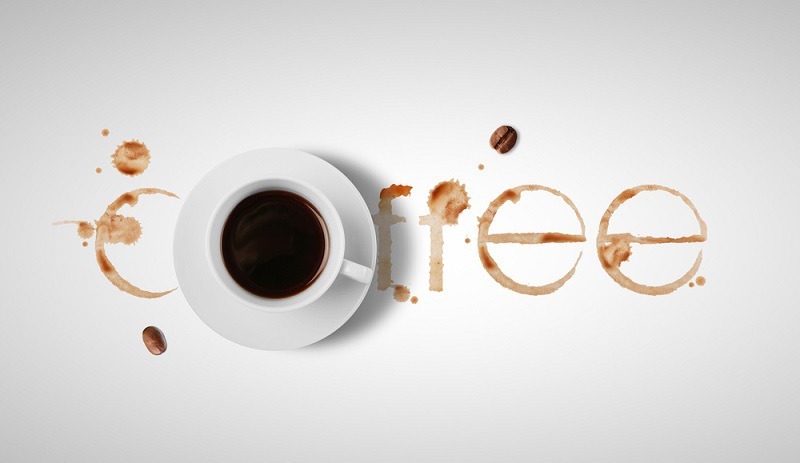 Even decaffeinated coffee still contains a small amount of caffeine. If you are a fan of the various frothy coffee-based concoctions available at your local coffee shop, you should be aware that these drinks can add a significant amount of calories to your diet. The exact calorie count varies depending on the coffeehouse as well as how your drink is prepared. The following will give you a basic idea of how many calories you may be consuming the next time you stop for that afternoon coffee fix. Lattes are also major diet busters. Cappuccinos rate slightly better in the calorie department than mochas and lattes. 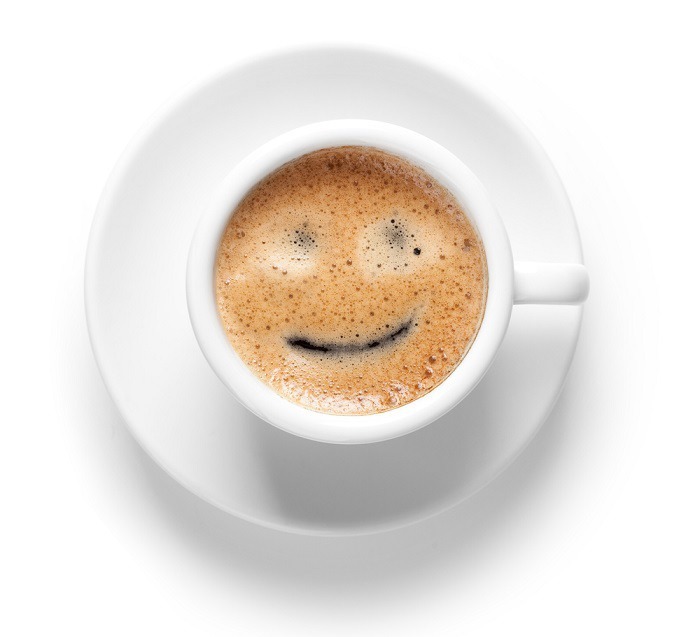 An Americano, which is espresso diluted with water, will have between 5 and 15 calories. The calorie count of a flat white will depend on the exact amount of milk that you use; however, Starbucks lists their flat white as having 180 calories. Tea is also virtually calorie free. 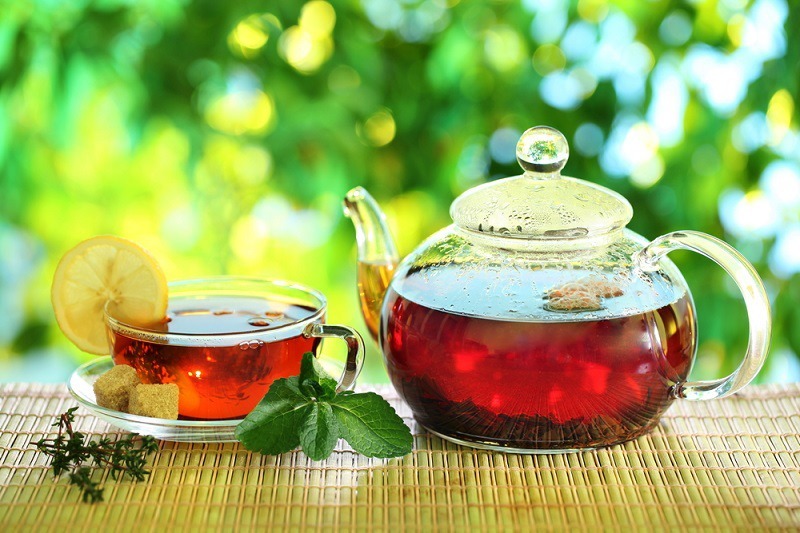 An 8-ounce serving of brewed black tea will only have 2 calories. The calorie count comes from the added sugar or flavorings. Some of the popular pre-sweetened bottled teas can easily contain 200 to 300 calories depending on the brand.